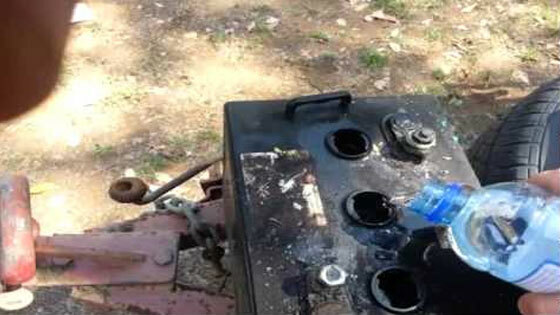 In the video above, you’ll learn how to revive a dead deep cycle golf cart battery. The battery in the video is Trojan T-105. Not every old golf cart battery can be revived though. Some old battery has dead cells and some may have some sulfation. The only way to know is to try to revive it. Golf cart batteries are the life-force behind your electric golf cart. Golf carts run off of what are called deep-cycle batteries. Although they look similar to normal car batteries, deep-cycle batteries serve a completely different purpose. 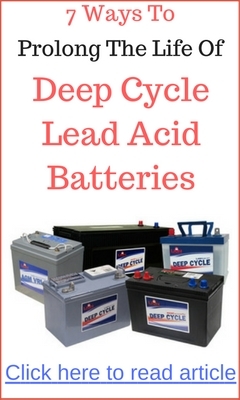 While both are lead-acid based, deep-cycle batteries provide a steady current over a long period of time, whereas car batteries provide a very large current over a short period of time. This is because golf carts, like other electric vehicles, derive all their power from their batteries. One battery is not enough to run a golf cart. Instead, they use battery packs that consist of multiple batteries. 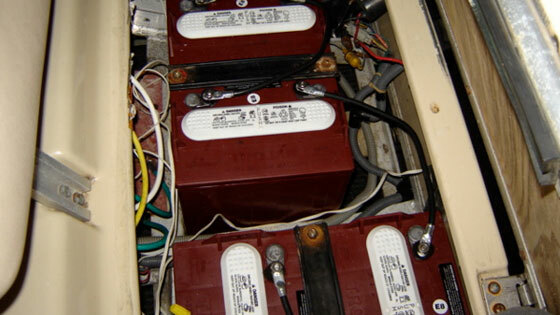 Individual golf cart batteries usually come in 6-volts or 8-volts. The combined total of the voltage from each battery makes up the total golf cart voltage. For instance, a 36-volt golf cart probably has six 6-volt batteries. And a 48-volt golf cart probably has either eight 6-volt batteries or six 8-volt batteries. And as you can probably guess, the higher the voltage the longer the run time and the greater the power. If your batteries aren’t charged, however, it doesn’t matter how many volts your battery pack has, it’s still not going to run. The type of golf cart charger you would need depends on the total number of volts your battery pack has. A 36V golf cart requires a 36 volt charger, and a 48V golf cart requires a 48 volt charger. If you have a 36V golf cart and later decide to upgrade to a 48V golf cart by adding two additional 6V batteries, you can either purchase an additional 12V charger for two new batteries, or you can replace your 36V charger with a 48V charger, just so long as the voltage from the charger corresponds with the voltage of the batteries. To keep your golf cart running strong you’re going to want to charge your batteries after every use. Most new chargers are fully automated, which means they regulate the current so that you do not over-charge your batteries. If you have an older golf cart charger that is not fully automated you would want to set a timer to shut off the charger after your cart is fully charged. A good rule of thumb is to charge it for at least twice as long as you drove it. Another thing to be aware of is how well your batteries are performing. To keep them in tip-top shape requires proper care. You should be aware of such information as proper water levels and cleaning techniques. The most proactive thing you can do is to take proper safety measures and set up a weekly or monthly schedule to make sure everything is well maintained. One weak battery will bring down all of the otherwise strong batteries to the weakest battery’s level, so it makes sense to keep them all properly maintained. If you want to customize your cart with electrical golf cart accessories, they too will be powered from your golf cart batteries. There are several ways to hook them up, and the best way depends on your particular situation. Most electrical golf cart accessories are 12V accessories, which means they run off of twelve volts. The quick and easy way to power your accessories is to hook them up directly to two of your 6V batteries. But this can cause an imbalance in your battery pack, especially if you have too many accessories requiring too much wattage. At this point it would be better to add a separate auxiliary battery strictly to run your accessories, or a converter to evenly distribute the power from all of your batteries to your accessories. When it’s time to replace your batteries you will need to think about proper golf cart battery disposal. 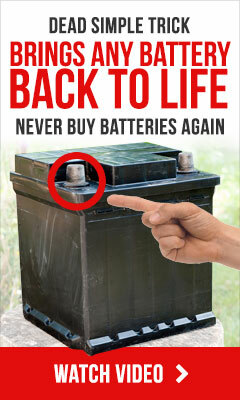 To recycle your old batteries you should take them to a retailer who recycles old batteries for resale. Most retailers that sell lead-acid batteries also take used batteries because it is required by most state laws. Recycling your used golf cart batteries is good for the environment and good for the health of you and those around you. Knowing about golf cart batteries is an essential part of knowing how to own and operate a golf cart. To find out more about golf cart batteries, along with everything else that’s golf cart related, please visit http://www.guide-to-golf-carts.com.